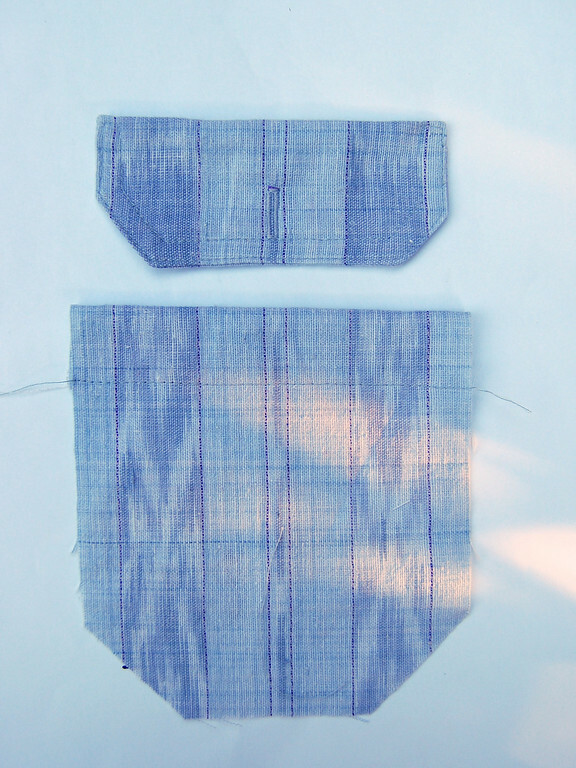 We've just finished the simple patch pocket in three different shapes: rectangular/square, curved and irregular. 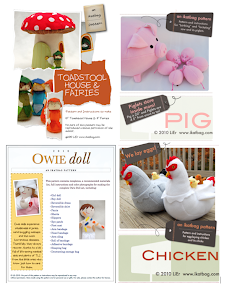 Today we will add a flap and button. 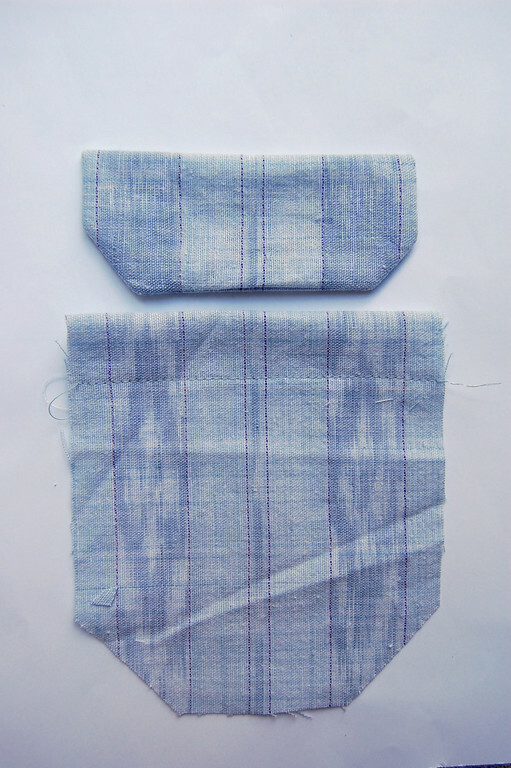 Cut out the main pocket and the flap, including seam and hem allowances. Note that if you are using print fabric, the print should match and line up, particularly if you are of perfectionistic persuasion. I cut the flap piece wider than the main pocket piece just to make sure I had enough room to twiddle with it to make the stripes match. The flap piece is twice the height of the finished flap - it will be folded later. 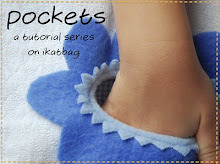 Make the upper hem of the main pocket. Fold the flap piece in half, right sides together, and sew around its outline. Leave an opening for turning out. 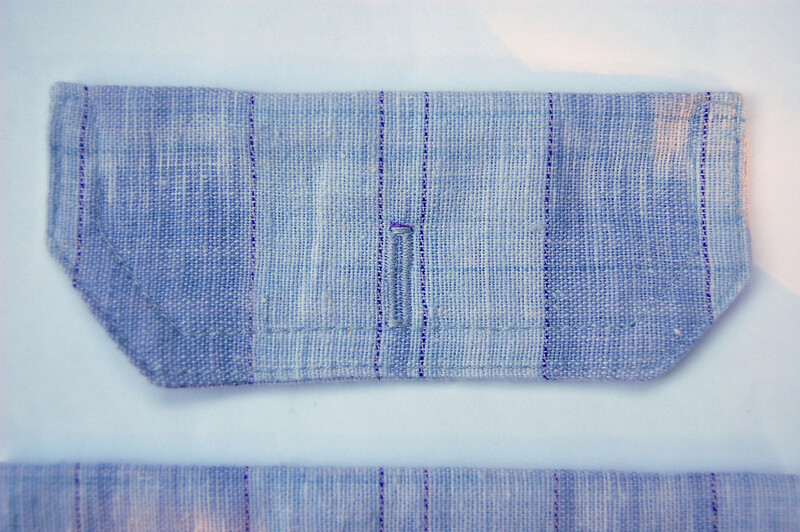 Note that the width of the flap should match the finished width of the main pocket. Notch /snip the seam allowances of the flap. 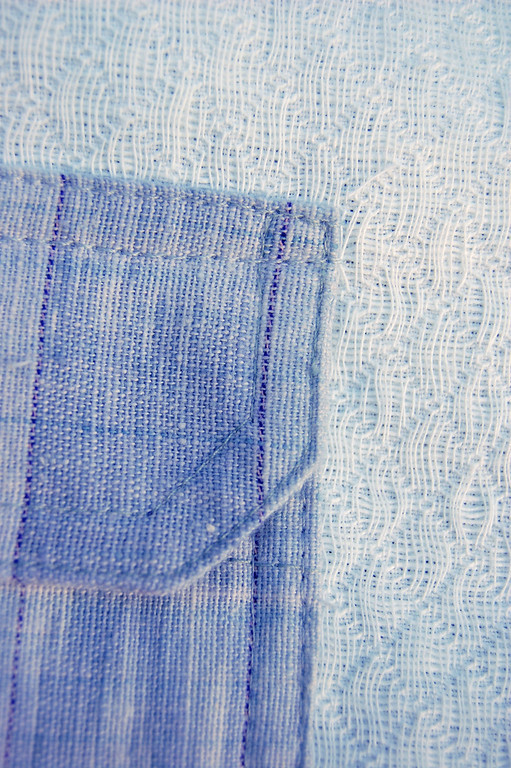 Top-stitch around the sides and bottom edge, including the opening. 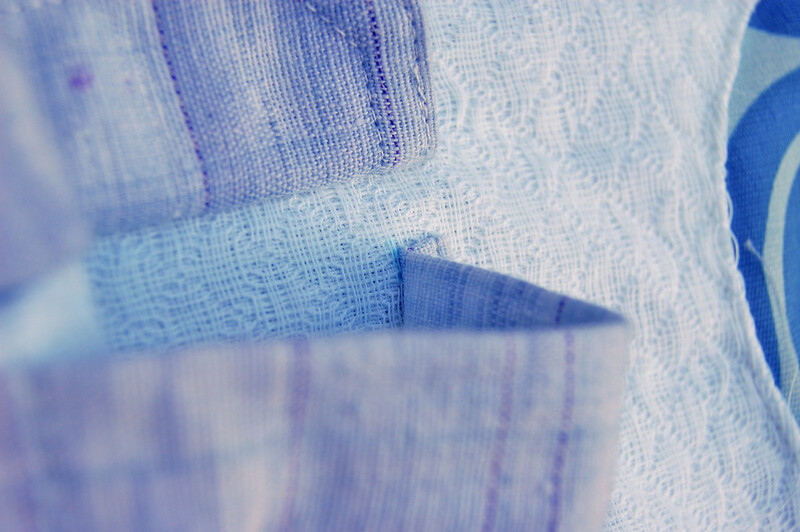 Leave the top edge unstitched - you'll top-stitch that directly onto the garment. 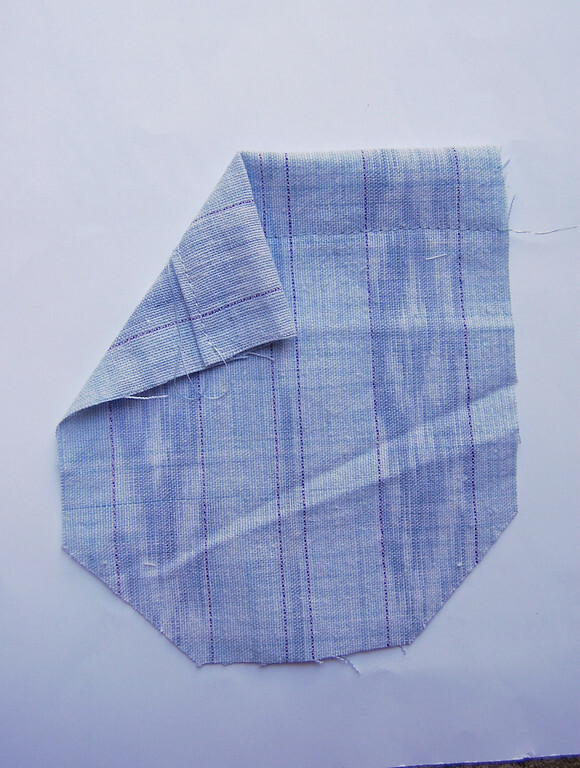 At this point, you can serge the edges of the main pocket, fold them in and top-stitch the same way we did the classic rectangular patch pockets. Just for variation, though, we'll use a different method to attach the edges. 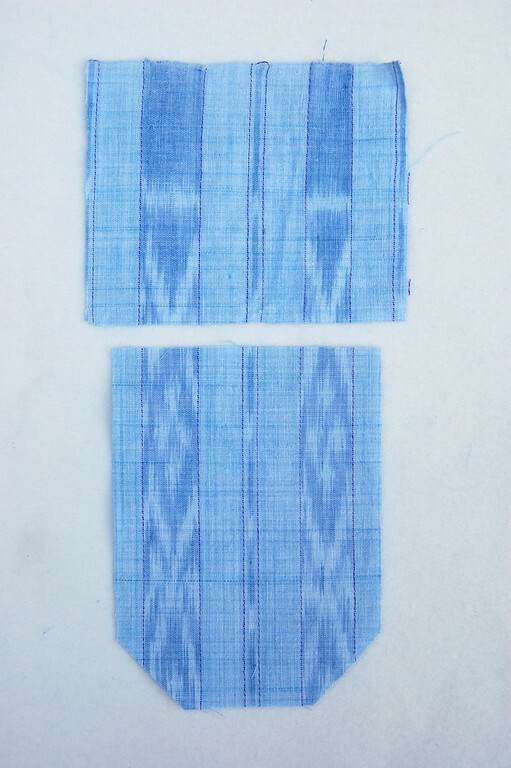 I picked this method because it works perfectly with the double row of top-stitching that we're using. 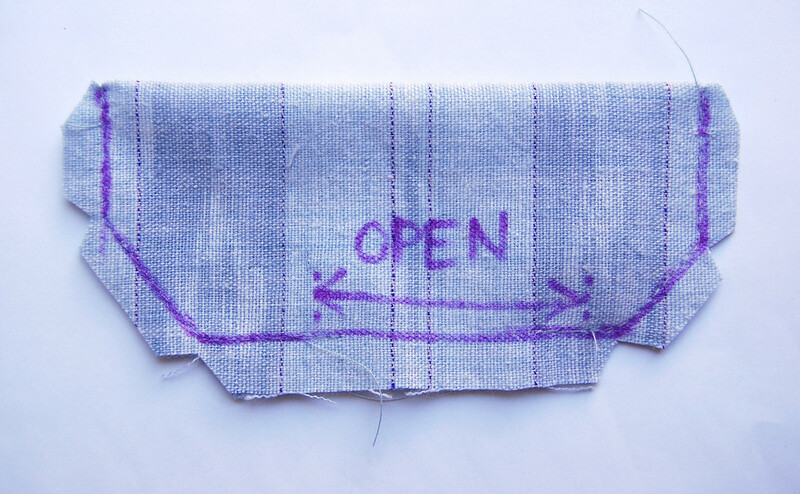 Let's start by saying that the edges of the main pocket are left unfinished/unserged because we are going to hide them when we stitch the pocket to the garment. See that little light blue mark? That's the position of the second line of top-stitching that will enclose the unfinished edge. 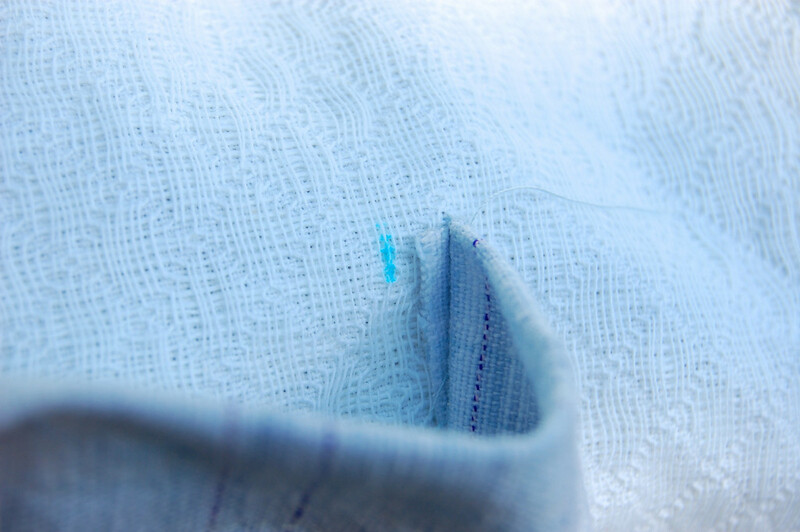 Sew the second line of top-stitching all around the main pocket, enclosing the unfinished seam allowance between the two lines of top-stitching. Like a french seam, but fake. 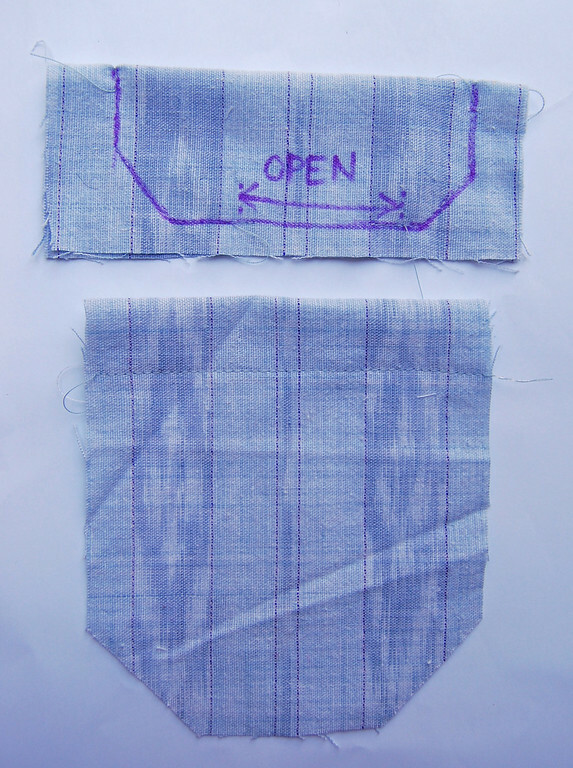 Pin the flap in place on the garment above the main pocket and top-stitch its top edge down. 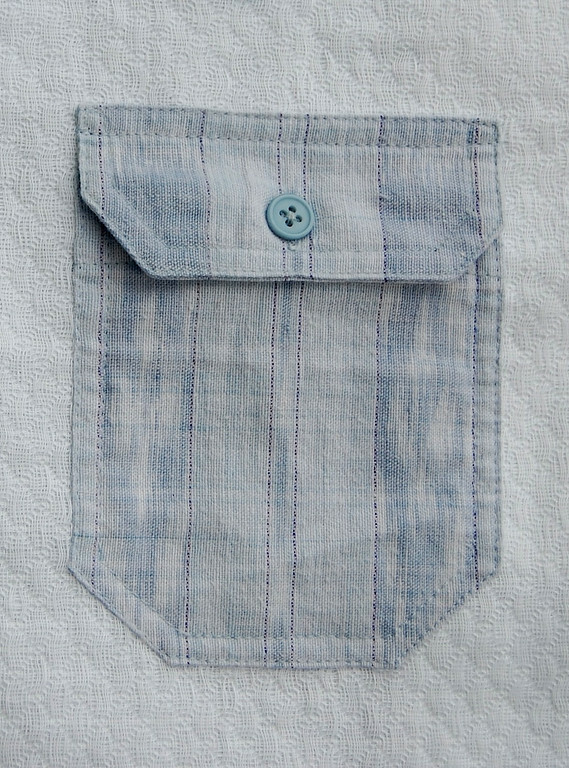 Sew a button onto the hem of the main pocket. This is traditional, but you could also have them be deliberately contrasting. If you do, it is a good idea to make it look quite deliberate, rather than just an afterthought or a mistake! The method of concealing the raw edges is particularly good. I normally fold them in, but your method makes for less bulk in the cloth. I think I'll be adopting it. Thanks. I wish someone could teach me how to sew. I long to make adjustments to all my clothes and add pockets to sweatpants down the sides, fun things like this...but i don't know how. Bummer. How I envy you sewers!